Don’t forget the Earned Income Tax Credit (EITC) when you file this year! It’s Federal income tax filing season! Each year the Department of Commerce partners with a number of other agencies and organizations to promote the Earned Income Tax Credit (EITC). The goal is to reach out to families and individuals with low-to-moderate incomes, educate everyone about the credit, and motivate all who are eligible to file for free to claim their refund. It is important that those who worked in 2014 do not miss out on thousands of dollars they’ve earned because they fail to claim the EITC. The EITC can reduce taxes owed and result in a huge refund (as much as $6,143!). This means working families and individuals can keep more of what they earn and life will be a little easier. However, in order to get this benefit, you must file on time and claim the credit. 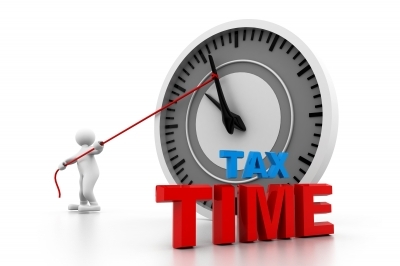 The Internal Revenue Service will begin accepting electronic tax returns beginning on January 31, 2015. In addition, many families and individuals are able to have their federal tax return prepared and e-filed for FREE. To help you find a nearby location, just call 2-1-1 or search “free tax preparation” at the IRS website. You are welcome to view posters, flyers, multi-language documents, and bookmarks from the Department of Commerce’s online EITC marketing toolkit to get more information about the EITC. Last year, 448,000 Washington individuals and families received $960 million in EITC refunds. However, the program still goes unused by about 25% of Washington state’s qualified workers who don’t realize they are qualified. Don’t forget the Earned Income Tax Credit (EITC) when you file this year, and please help spread the information to everyone eligible! Affordable Care Act (ACA) now in open enrollment! Washington state is currently in the open enrollment period to renew or sign up for low-cost private insurance. Enrollment for qualified health plans began November 15, 2014 and will end on February 15, 2015, so time is of the essence to sign up! There are very informative resources available about affordable health care on the Washington healthplanfinder website as well as social media sites such as Facebook and Twitter. But remember, for those who qualify for Washington Apple Health (formerly called Medicaid), enrollment is open all year – so people can sign up any time! If you are not sure of your eligibility, this very helpful chart from Health Care Authority includes the income limits for the various Apple Health programs. Other resources that might be helpful in comparing, purchasing and enrolling for health insurance include Washington LawHelp self-help materials, which outline some basic legal information regarding the current state policies in a clear and organized format. Also, the Washington Health Benefit Exchange website offers individuals and families materials to find and pay for quality health insurance. In addition, The Northwest Health Law Advocates recently created a very informative self-help publication for anyone in need of further details about the various insurance options for health care in Washington. If you have any additional questions, please do not hesitate to contact Solid Ground’s Family Assistance program’s Intake Line: 206.694.6742 or WAFINDER: 855.923.4633. Here’s to a healthy (and fully-insured) 2015! For a large segment of the US general public, open enrollment for health care coverage through the Affordable Care Act (ACA) in 2014 was October 1, 2013 through March 31, 2014. Most who missed that window will have to wait until the next open enrollment period for coverage in 2015, which is November 15, 2014 through February 15, 2015. However, exceptions for certain life events qualify some people for special enrollment, which is year round. Exceptions include those who qualify for or are renewing Washington Apple Health (formerly known as Medicaid in Washington state), marriage, divorce, birth or adoption of a child, foster care, or death of a dependent. There are many other qualifying factors, but all of the explanatory jargon can be confusing at times. Thankfully, our Family Assistance Program has been hard at work providing trainings and legal advice on the ACA. The purpose of these trainings is to assist people with education on and enrollment in the newly available medical insurance through the Health Benefit Exchange and Apple Health. For example, one of the major changes from the expansion of the Medicaid program affects those making up to 138% of the Federal Poverty Level. Specifically, if a single household earns under $1,274 per month (or $15,290 per year), then they can access Apple Health and apply for it at any time. Folks who make more than that are potentially eligible to purchase a Qualified Health Plan through the Health Benefit Exchange during the next open enrollment. Reminder: Open enrollment for Apple Health is year-round, and applications can be accessed through Washington Healthplanfinder. If you have questions regarding special enrollment or anything else regarding coverage under the ACA, please contact the Family Assistance Program at 206.694.6742. Solid Ground’s ConnectUp program is a communication hub that provides a wealth of access to information for people living on low incomes in King County. Formerly known as Community Voice Mail, the program changed its name in 2012 to better represent its broadening services and the ever-changing landscape of telecommunications. Originally developed to provide access to personal voice mail for those without phones seeking employment, ConnectUp has expanded to include broadcast messaging, education and outreach, and referrals to discount telecommunication providers. For people experiencing homelessness or living on low incomes, access to information and the ability to contact resources are vital. As face-to-face interactions and paper submissions are being replaced with technology, it is almost impossible to seek assistance without this access. The program takes advantage of all the ways telecommunications can disseminate information. The Resource Wire – ConnectUp’s blog and broadcast messaging system – spreads the word about job fairs, employment opportunities, workshops and classes, job training, community resources and social services. Through email, Facebook, Twitter, blogging and voice mail, ConnectUp can broadcast a wide range of information. ConnectUp became the coordinated entry point through 2-1-1 for people needing free or discounted cell phones, internet, voice mail, home phones, smart phones and computers. Staff explain the programs available, help them figure out which programs they are eligible for, and assist them with the application process. In the coming year, ConnectUp will seek to integrate telecommunications into Solid Ground’s Housing services. Their vision is that, as clients are set up in housing, they will be referred to ConnectUp to apply for low-cost phone and internet services, and will sign up for the Resource Wire. Clients will use the connectivity to turn on utilities, seek and maintain employment, receive information on community resources and events, integrate financial empowerment through financial literacy messages, and stay in touch with social services. By giving clients the freedom to seek out resources themselves, access to communication technology reduces isolation and affords the ability to take some control over their circumstances. Connectivity through technology supports independence and confidence and fosters self-supporting behavior that leads to quicker stabilization. Great news on the Affordable Care Act (aka Obamacare) front! 146,500 people signed up for private insurance on the WA exchange, including 8,000 on March 31, the last day to sign up. 268,164 newly eligible people signed up for Medicaid (called Washington Apple Health in our state) – that’s TWICE the state’s goal! All told, approximately 958,000 people in our state signed up for or renewed their health insurance through wahealthplanfinder.org over the past six months. Numbers are coming soon that outline breakdown by age, as well as new vs. renew – stay tuned. Medicaid has open enrollment all the time – it is not impacted by Monday’s deadline. 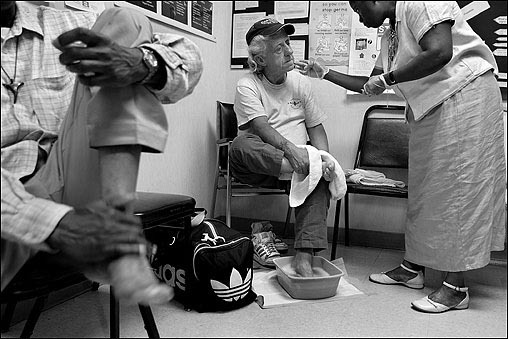 Many in our community are Medicaid-eligible (up to 138% of federal poverty level). If folks are unsure whether or not they qualify, they can call our ACA Hotline at 206.694.6714). People can sign up for private insurance at any time during the year IF they have had a major life event, such as a marriage, divorce, job loss, birth or adoption of a child, or move to/from another state. Wahealthplanfinder.org is the online portal to sign up for both Medicaid and private insurance. People can still use the website to sign up for insurance in either of the above situations. If people tried to buy private insurance on Monday, but got cut off by computer issues, or if they are dealing with a natural disaster, domestic violence, or a few other issues, they can request an extension by calling 1.855.923.4633 or emailing customersupport@wahbexchange.org. Have additional questions about any of my reminders? Check out the FAQ from the WA Health Exchange Board. This has been a tremendous effort – from all the way back in 2009/2010 when we marched together in the streets to pass the Affordable Health Act, through all the political wrangling, and into implementation and sign up. Congratulations to everyone who advocated for passage of the Act and is helping to get the word out in the community. Let’s keep it up and ensure that we continue investing in the health and well-being of our communities! Marcy Bowers is Solid Ground’s Advocacy Deputy Director and the Director of the Statewide Poverty Action Network. Posted on March 27, 2014 by Gordon McHenry, Jr.
We have less than a week to take advantage of the most significant opportunity in most of our lifetimes to strengthen our community. March 31 is the end of the initial enrollment period for low-cost health insurance. We’ve been hearing a lot about the growing gaps in our community – gaps between wealthy and poor, between neighborhoods, between racial and ethnic groups. King County has some of the healthiest communities in the world, yet there are many who have fallen behind. Our prosperity as a region depends on everyone being able to contribute and reach his or her full potential. We now have a resource to help shrink those disparities; we have the opportunity for nearly everyone in King County to get affordable health care. Whether you live in Queen Anne or SeaTac, whether or not you have a job and regardless of what language you speak, the Affordable Care Act, aka Obamacare, provides a critical resource. Before the new health exchange Washington Healthplanfinder went online in October, there were more than 200,000 uninsured adults in King County. Most had incomes that qualify them for subsidized or free health insurance under the new law. If awareness and enrollment information can move this group to action, that’s a two-fisted blow against inequities. First, the ACA gives people access to preventive care and routine medical care that can keep them safe and healthy enough to work and care for their families. Second, it gives them financial security against bankrupting medical bills or other emergency costs that can drain savings in an instant. If we can do that, we’ll take 16 percent of residents ages 18 to 64 – most of whom are working in the service sector or as laborers, often part time – and raise their standards of living, without taking anything away from everyone else. To be sure, narrowing the gap in health would require public-health strategies to address chronic diseases and injuries. But insurance would at least provide people with more affordable access to care. 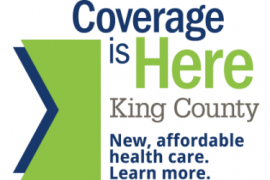 Right now, King County has some of the greatest disparities in health coverage in the country. For example, adults in South King County cities such as Des Moines or Federal Way are seven to eight times more likely to be uninsured than adults in Mercer Island or Sammamish. Latinos are nearly four times as likely and African Americans more than twice as likely to be uninsured as whites. If most uninsured people who qualify do enroll in the exchange, we could make a dramatic difference in health coverage. The rate of uninsurance in much of South King County could decrease from 30 percent to 10 percent. The key is to spread the word. Survey results show that many of the uninsured remain unaware of their eligibility for a new type of affordable insurance. And they’re unaware that a deadline looms. The end of the first open enrollment period for private health plans is March 31. The next open enrollment period for subsidized plans is in the fall, although enrollment in Apple Health, the state’s Medicaid program, continues all year. As community leaders who are tasked by King County Executive Dow Constantine with championing health-insurance enrollment, we ask that you tell your family, friends, neighbors, co-workers, employees and others that coverage is available now and is more affordable than you think. Gordon McHenry Jr., President & CEO of Solid Ground, and Tom Gibbon of Swedish Medical Center, co-chair the Cover King County Leadership Circle and are appointed by the King County Executive.